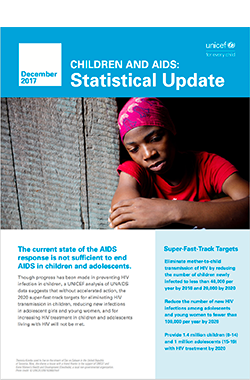 The annual Children and AIDS Statistical Update offers an enhanced understanding of the HIV epidemic through expert analysis of the latest available data. 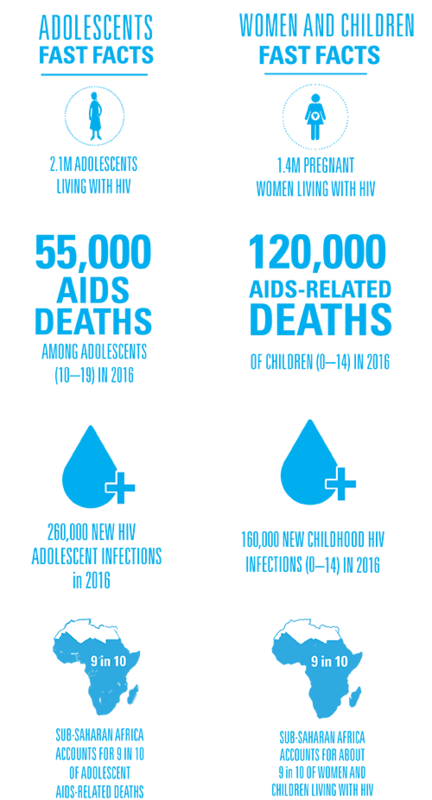 This year, the numbers indicate a world closer than ever to ending the AIDS epidemic. However, in every indicator, children and adolescents continue to lag behind. 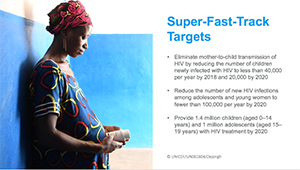 The current state of the AIDS response is not sufficient to end AIDS in children and adolescents. The Statistical Update package includes: a brief on the data, a powerpoint presentation of key global charts and figures, an excel file of global charts and figures, as well as regional charts and figures available at data.org.